Very nice to use soap, which is composed of natural ingredients: milk, chocolate, oats, honey, fat and essential oils, clay and more. And for this pleasure we are willing to pay a lot of money buying expensive scented handmade soap in a nice cozy shops. However, few people know what soap you can make yourself at home in the kitchen. While its ingredients and their ratio will completely fit your taste and the characteristics of the skin. The creation of soap - a very pleasant and enjoyable, it relieves fatigue after a hard day and uplifting. The room fills with the smells of herbs, essential oils and spices, so the household probably will not mind your new Hobbies. Rare hobby combines so many interesting moments. Because in addition to the colors and shapes you work and even over the soap, pick up a scent, experimenting with texture, mixed fragrant essential oils with various therapeutic properties. Besides soap-making is a very productive form of creativity: in one evening you can make a variety of "soap" gifts to relatives and friends. It's an interesting soap turns almost always and random errors are the author's findings. Over time, in search of new ideas for creativity you will begin to pay close attention to the composition of creams, perfumes, shampoos - because there you can find an interesting combination of oils and a description of the effects on the skin supplements available to you. 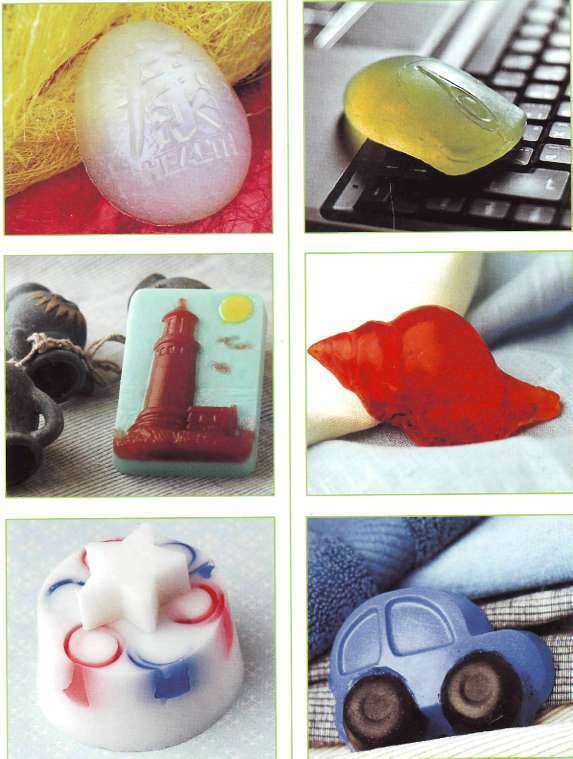 Consider the objects around you: children's toys, computer mice, shells - as the most interesting forms for casting soap or detail of its decoration. Look for a new filling: flower petals, seeds and more. Because sometimes even the most unexpected things can serve as the basis for the creation of a new product. Your life will be filled with new sensations: bright intense aromas of fruity, floral, herbal and woody oils, gentle touch of fluffy foam soap you have made, the joy of the first success and the emergence of a new idea or recipe. It's amazing how many opportunities conceals a seemingly simple bar of soap!